The car above is an M19-Z42, Fleet number M21 formerly of South Australian Railways, then Australian National Central Region. This car was ex Port Lincoln in South Australia, where a couple of other M19-Z42s also ran. At least one M19-Z42 was built in the US (possibly two) and the rest then built locally. The Fairmont car records confirm one was built in late 1950. A builders plate on a QR car gives a build date for the M19-Z42 as around the mid 1950's. Queensland Railways had a number of these cars, (sixteen, in 1954 and twenty four in 1955) a number of which were also run by The Postmaster Generals Office (later Australia Post and Telstra). as the preferred narrow gauge car. Queensland Railways had a number of these cars, (sixteen, in 1954 and twenty four in 1955) a number of which were also run by The Postmaster Generals Office (later Australia Post and Telstra). The M15 was then designed by Fairmont specifically for narrow gauge working on 36", metre and 42" gauge. Earlier cars were built with all holes for each gauge..
A few still around in Queensland. I have heard a figure of ten in Queendland and I know of one in Tasmania, last known to be with Don River, but delivered to the Emu Bay Railway Co. The cars did not remain original for long, as the more powerful motors were believed to have contributed to a number of prangs in the early seventies. They were remotored with the smaller less powerful RO-C motors. This is an EX Commonwealth Railways M19, Fleet number 140, with a typical CR cab. 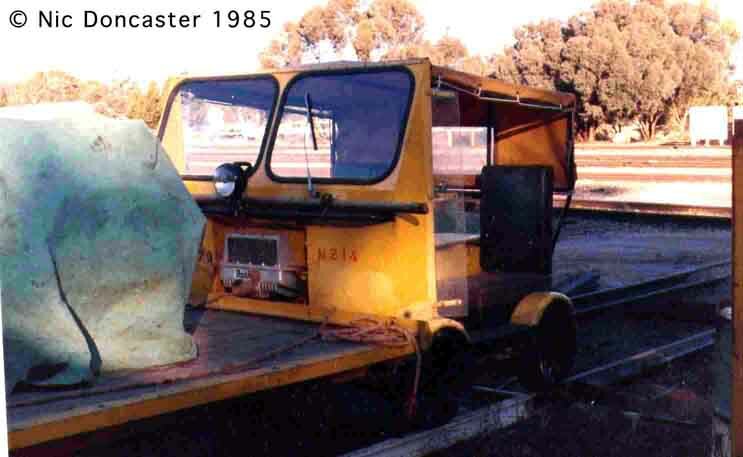 M19's were operated extensively by NSWGR, the South Australian Railways and the Commonwealth Railways. 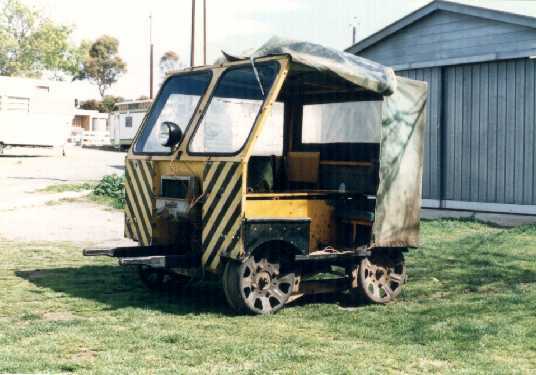 One M19 was also sent to the Victorian Railways as a demonstrator - this car is currently with the Victorian Goldfields Railway. The table below lists the known Commonwealth Railways M19s. As with some of their M15s, a number were fitted with electric start.